The focus of Apple’s “It’s show time” event may have been TV entertainment services, but the company made a big splash right out of the gate with the announcement of Apple News+. 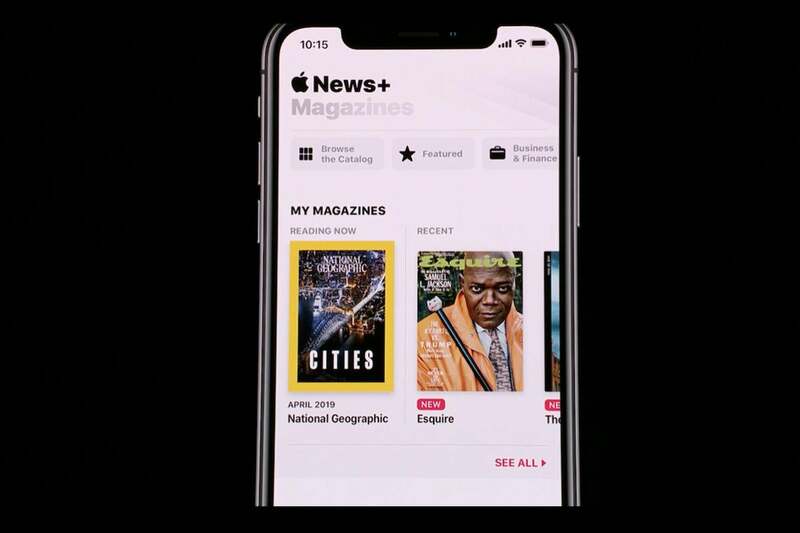 As the name implies, it’s a premium version of Apple News that offers more content than you’ll get with the free app—all with a focus on magazines. Specifically, for $9.99 a month, you and your family get access to more than 300 magazines and other publications ranging from National Geographic to Wired to The Wall Street Journal. We’ll dig deeper once we’ve spent time with Apple News+, but for now, here’s what intrigues us the most. I’m one of the folks who will likely see a real benefit from using Apple News+ as I pay for subscriptions to The New Yorker, Wired, and National Geographic—all of which are included with the new service. If the app works the way I think it will, that means I’ll be able to dump my subscriptions in favor of Apple’s far more palatable all-you-can-eat $10 fee. 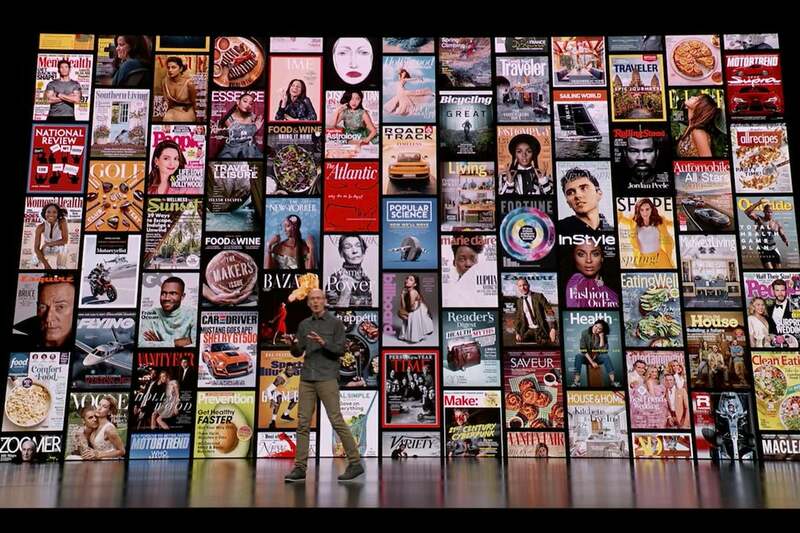 Indeed, Apple says that if you bought subscriptions to all of the magazines included in Apple News+, you’ll be saving around $8,000 a year. At the moment, however, it’s not clear if an Apple News+ subscription will allow me to access paywalled content to, say, The New Yorker when I access the site through a link on Twitter. That’s mostly how I read articles, and I’m not convinced Apple News+ would be a good deal if I always have to access paywalled content through the app. One of the best reasons to buy a physical magazine is that print usually offers a richer visual experience than what you’ll get online. Fascinating layouts, great photography, unforgettable graphic design—it’s all there. And with Apple News+ you’ll get something like that experience in the app. And at times it might be even better. 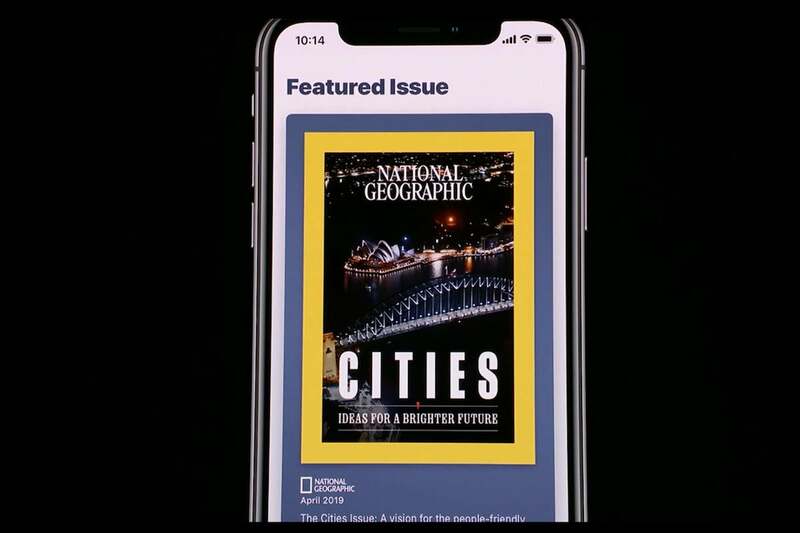 In the case of National Geographic, Apple showed off a “live cover” of a recent issue featuring Sydney, Australia. Instead of the static photo of the skyline that you’d get with the physical edition, Apple News+ treats you to a video image of the city as it rolls underneath you—as though you’re in a helicopter. Elsewhere, Apple showed off wonderful article layouts, many of which looked especially good on the iPad Pro. But just how common will these eye-popping visual will be? They look stunning, but they also look like a lot of work on the design end. And during a time when publications are cutting staff, it’s difficult to imagine live covers will become the News+ standard. It looks as though you’ll be able to access a single magazine’s content all at once, much as you would if you had a physical copy. 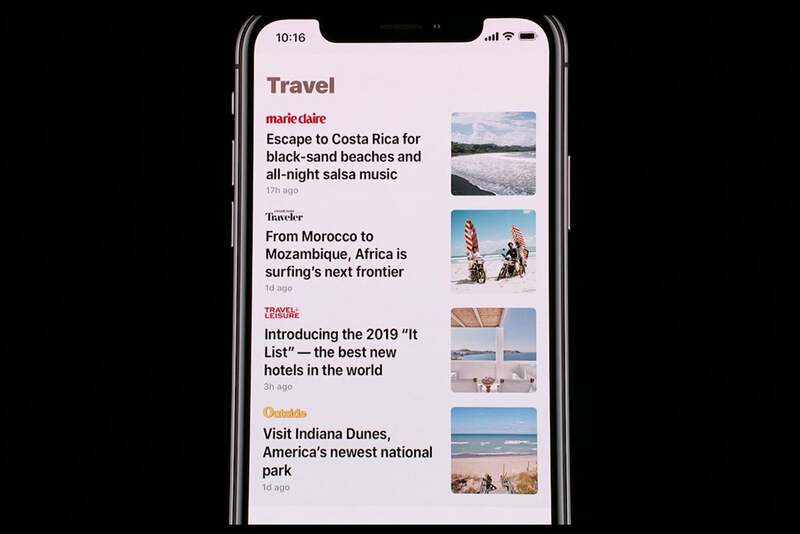 But much like we already see with the existing Apple News app, the main interface of Apple News+ pulls from multiple publications so it can offer recommendations based on your interests and trending stories. It’s basically a pretty RSS feed. So even though I normally wouldn’t look at The Wall Street Journal on a regular basis, Apple News+ would recommend articles to me if their coverage on, say, Apple TV was of interest to me. If you’re wanting info on travel, you can pull from multiple sources. Another great benefit of traditional magazines is that you can curl up with them away from the internet and get lost in their stories. Apple captures a little of that experience by allowing you to download entire magazines for offline reading with an AppleNews+ experience. This will be especially great if need some reading material on a long flight. It’s a pretty big leap from National Geographic to Esquire. If you want everyone in your family to be able to use Apple News+, you’ll only need to pay for one subscription and then everyone else can access it through Family Sharing. It’s a simple feature, but a welcome one. It’s a little like passing around the latest issue of a magazine once you’re done reading it. Much as with Apple Music, you can try out Apple News+ for one month for free. I’d certainly be taking advantage of this offer, as I subscribe to a lot of the magazines that Apple includes in the package. Just be sure to unsubscribe once the first month is up so Apple doesn’t keep charging you. This used to be a minor hassle, but fortunately Apple simplified the process in recent months. Many of the other services Apple announced won’t even be available until fall. But Apple News+ is going live today, and you'll be able to use it on your iPhone after updating to iOS 12.2. Go check it out!